The twenty-member volunteer Bicycle Advisory Committee (BAC) meets monthly to review projects and discuss bike issues. The committee advises City Council and bureaus on all bicycle-related matters. 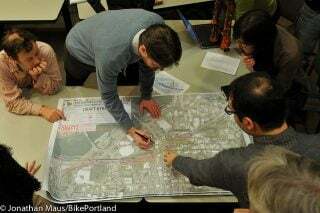 The meetings are staffed by the Portland Bureau of Transportation bicycle coordinator. The public is encouraged to attend. Snacks and drinks are provided. For more information about the BAC, visit the transportation bureau's website.